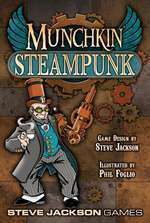 To coincide with the release of the*Munchkin Steampunk core set, we're holding Learn to Play events at participating Books-A-Million and 2nd & Charles stores around the country. Come out on Saturday, March 26th from 2 p.m. to 5 p.m. and join the steam-powered fun with your local MIB demo team! In addition, these stores are now selling a special version of*Munchkin Sketch Edition that includes a copy of*Munchkin Dragons! *This special edition includes the original Munchkin game, with blank art ready for sketches and doodles. You can make your set 100% one-of-a-kind! 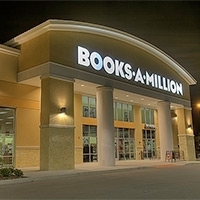 So grab your goggles, charge your tesla coils, and jet to your participating*Books-A-Million or 2nd & Charles stores on March 26th! It's elementary, my dear. What GURPS Space game couldn't use a clever, chaotic, kleptomaniacal alien? That's no problem at all, with GURPS Aliens: Sparrials. It includes a full GURPS template, plus intel on the tech, traits, history, and mindset of this fascinating interstellar species. Download it today, only from Warehouse 23!